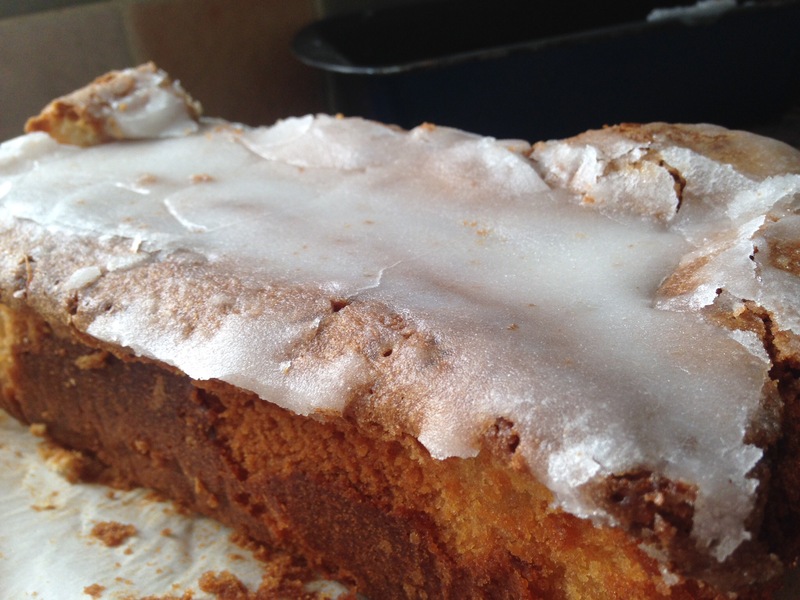 Lemonade and Ginger Beer Drizzle Loaf Cakes- Fentiman’s Drinks. Lush! Who can’t resist a slice of lemon drizzle cake? 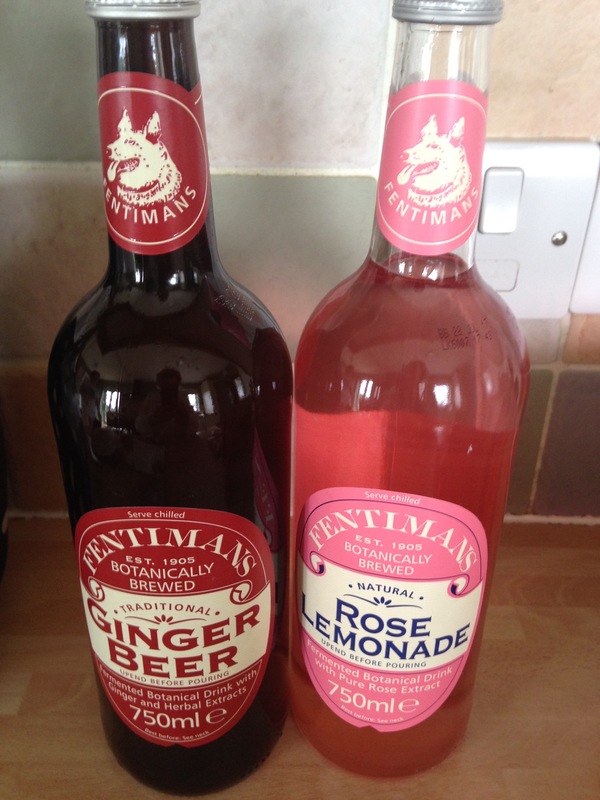 This one is even more special as it contains Fentimans Victorian Lemonade. A couple of weeks ago I was so happy to win an Easter Hamper in a competition on Fentiman’s Facebook page. I couldn’t believe it, I never win anything like that and there were loads of entries. The hamper was a huge, gorgeous wicker basket filled with a massive selection of Fentiman’s popular Spring favourites. Not only that, but there was an additional treat for us, Being Easter, the hamper also contained a giant Quality Street egg, a Harry Hopalot rabbit egg from Thorntons and some delicious dark chocolate mini eggs. I was so excited when the courier delivered it a couple of days afterwards. My only grievance about the hamper was that one of the small bottles containing the Seville Orange and Mandarin drink was smashed to smithereens inside the hamper. The drink obviously had leaked out but I was more worried about reaching inside the hamper among the shredded tissue paper to see if I could retrieve the broken glass. I was so lucky I didn’t cut my hand! Now as you know, I always like to have any excuse to bake. So having a few bottles of my favourite soft drinks was no exception. I’ve seen cakes being baked with Coca Cola with it and wondered if I could do the same with a couple of the drinks from the hamper. 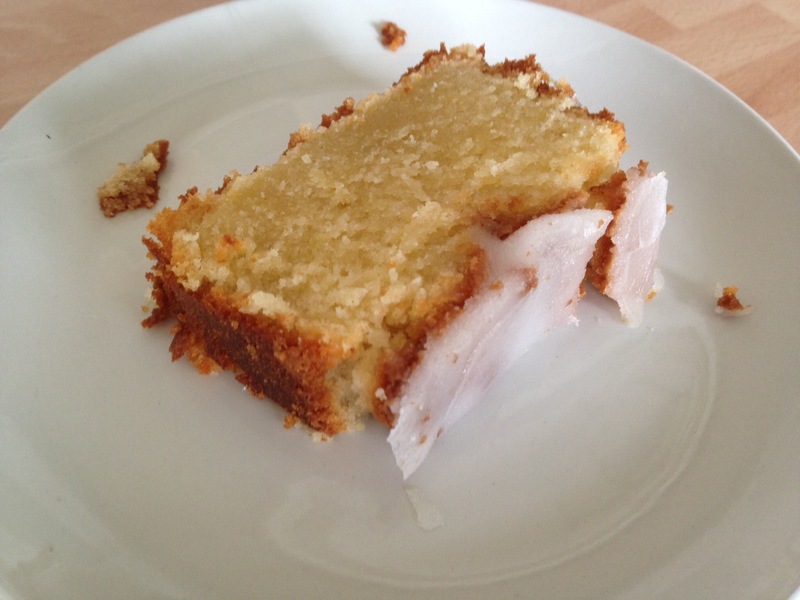 I love Lemon Drizzle Cake and thought maybe instead of lemon juice I could use the lemonade in it. Last Saturday I was at home for the afternoon, so I had time to play around and experiment. There should be about 1/3 of the bottle of Lemonade left over, so pour it into a glass and enjoy drinking it while you’re baking! Pre-heat the oven to 170oC/ 325oF or Gas Mark 3. Line a 900g/ 2lb loaf tin with baking parchment or use a ready made loaf tin liner which can be bought from a good cookware shop. I use the ones available in Lakeland and swear by them! Cream the butter and sugar together with an electric mixer or whisk until light and fluffy. Add the eggs, one at a time, mixing well after each addition. If you need to, scrape the mixture down the sides of the bowl. Mix in the flour and lemon zest until thoroughly mixed. Then fold in the Victorian Lemonade. Spoon the mixture into the prepared tin and level off the surface of the cake. Bake for about 1 hour in the oven. To test if the cake is done, insert a skewer into the cake. If the top bounces back when touched and the skewer comes out clean, then the cake is ready. Keep the cake in the tin until it is completely cooled, although transfer the tin over to a wire rack. While the cake is cooling, mix caster sugar and lemonade together in a bowl to make a syrup. When the cake is completely cool, use a skewer to prick holes in the top of the cake. Pour the syrup over the top of the cake. Allow it to set on the top before taking the cake out of the tin and the wrapper. This stops all the syrup completely soaking into the cake and gives the cake a contrasting, crunchy topping. Cut into slices to serve. Any uneaten slices need to be kept in an airtight container and should keep for about 3 days. Once the cake has cooled and the icing has set, then it was ready to come out of the tin and to be served. Cut into 8-10 generous slices. I can’t cut thin slivers of cake! My favourite piece is always the one at the end. Looks very rustic but that’s what appeals to me. 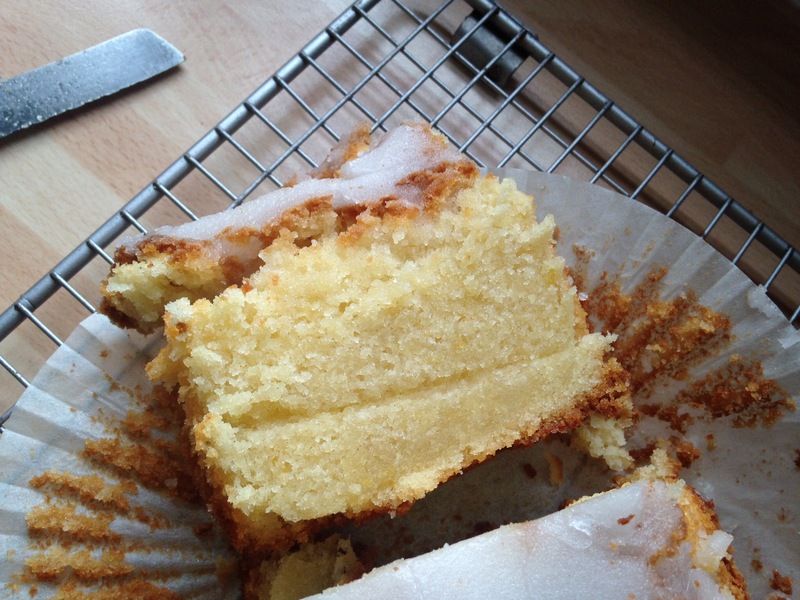 Lemon Drizzle cakes always go down well with my family and I cut the cake up to put in a tin for another day. It was all too tempting for me to nibble some and I did take half of one piece to try out. 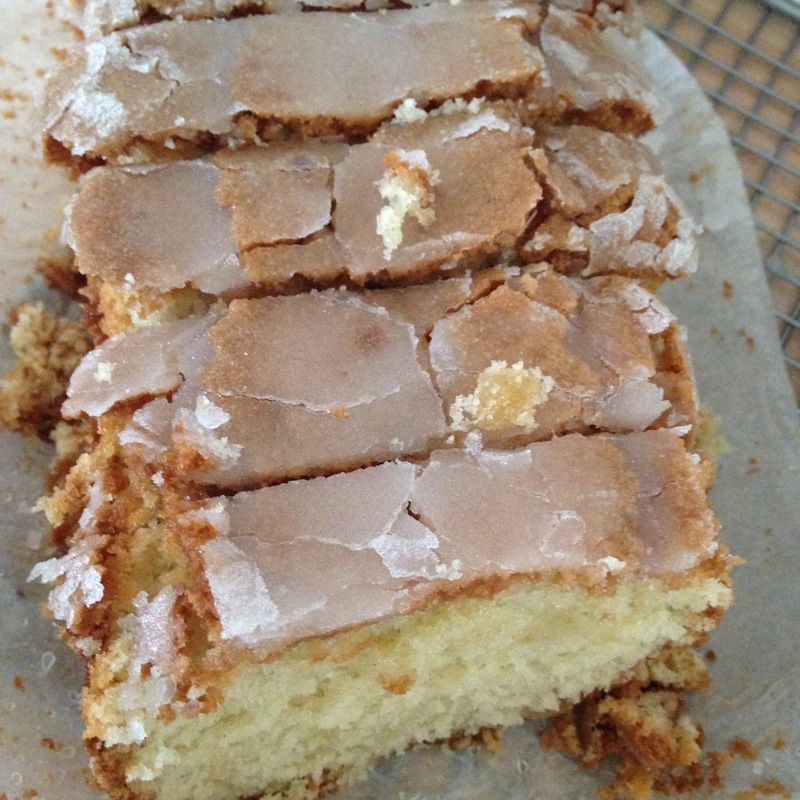 It’s quite a sweet cake as lemon drizzle cakes are so you won’t want a massive piece. Then again, where cake is concerned I don’t do small! After the success of the Lemonade Drizzle Loaf Cake I was tempted to have another go but adapt the recipe for an alternative flavour. My favourite Fentiman’s drink is their Ginger Beer and I always have it if I’m going out for dinner at a local pub when I’m driving. Luckily for me, my kids don’t like Ginger Beer. so they hadn’t guzzled it all up. Last Wednesday I found myself with a day off work so I chose to do a spot of baking once I’d done all my jobs. I thought I’d try out some Ginger Beer Drizzle Loaf Cake and see if that worked. Instead of the grated zest of a lemon, use 3 balls of stem ginger which have been rinsed, chopped into tiny pieces, rinsed and tossed in a tablespoonful of flour. 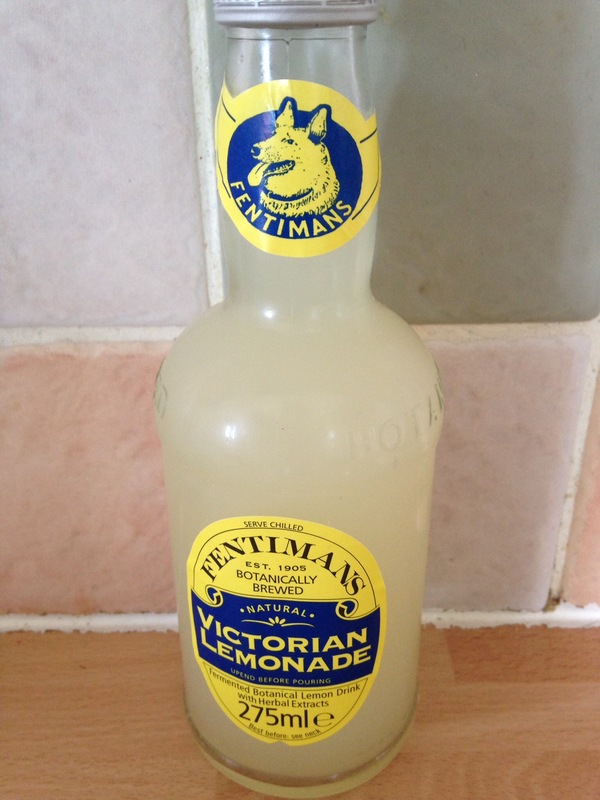 Instead of Fentiman’s Victorian Lemonade, use their Ginger Beer. Optional: I also added a tsp of stem ginger extract available from Lakeland. Not only did I have my Easter hamper prize but I ended up buying some more Ginger Beer and Rose Lemonade from the Good Food Show last weekend. Who fancies a slice of Ginger Beer Drizzle Cake? A very rustic looking cake. I didn’t let this cake cool down as much as it should have done so the top cracked as it cut! 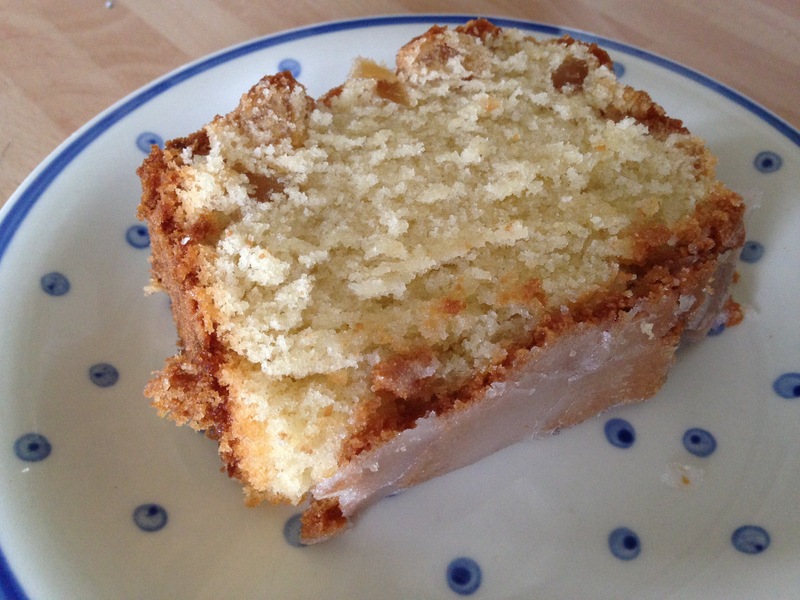 The only problem I found with the Ginger Beer Drizzle Cake is that it didn’t have that punch of ginger I was expecting. Next time I bake it, I will add a couple of teaspoonfuls of ground ginger to the mix along with the dry ingredients and see what happens. Also, I found that despite rinsing and flouring the ginger pieces, they still sank to the bottom of the cake. I ate a thin sliver off one of the pieces I’d cut and thought maybe the recipe needs tweaking a bit. Then again, if you don’t like a big ginger hit, then you don’t have to change anything. The other treat was, to sit and drink the remainder of the 275ml bottle with your lunch. At the time of writing there are two bottles left and my kids have been clamouring to drink them. I have let them have a treat at the weekend but there’s no way I’m letting them near the large bottle of Rose Lemonade! Hands off! Previous Post TasteCollectiv- Fresh Romesco and Pesto Sauces. Next Post Lemon Empire Biscuits- Mercers Of York Lemon Cheese.